It has been a season of mourning for people resident in Anambra state. After consecutive attacks on worshippers over a fortnight that left at least 12 people dead, there is more bad news coming from the state. 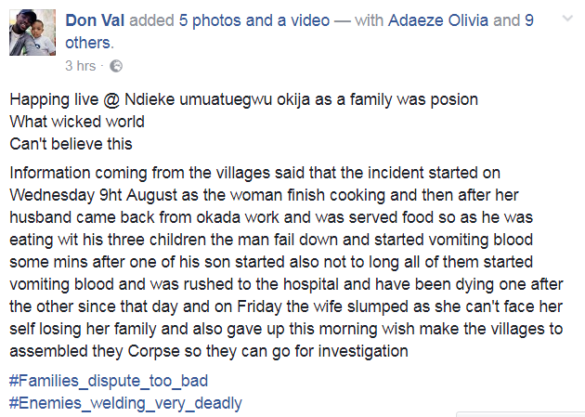 A man, his wife and their three children have died of food poisoning. 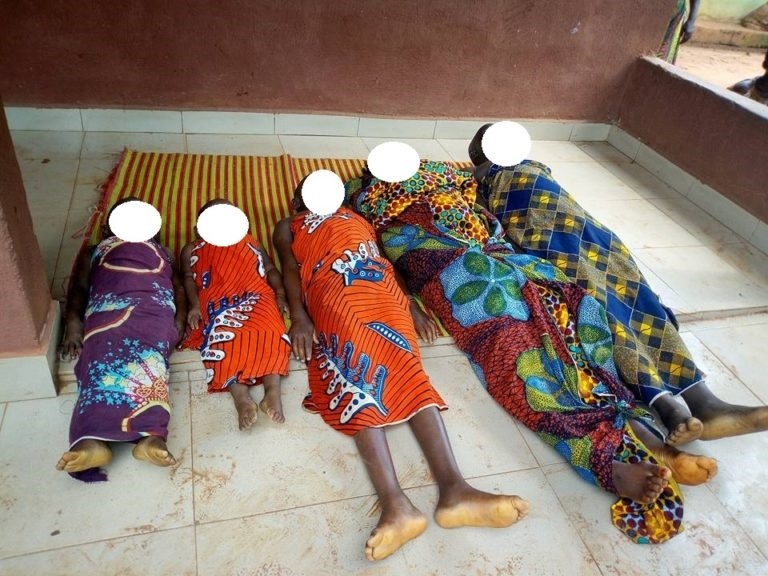 The family of five were said to have vomited blood as they ate from the food the wife prepared. The incident happened at Okija, Anambra state on Wednesday August 9. They were then rushed to the hospital and unfortunately died one after the other. The woman, who couldn’t stand the pain of losing her whole family slumped on Friday and died on Monday. A Facebook user, Don Val shared photos from the scene.